Born at Dover, Kent, England on 2 July 1839, a son of Thomas and Catherine Tennant, brother of J. F. Tennant, he immigrated to Canada around 1860. On 24 August 1862, he married Margaret Annie Keenan (1846-1869) at London, Ontario. They had two children, Thomas Emmett Tennant (1863-?) and Anne Mary Tennant (1868-?). He wife died of tuberculosis and went to Ireland, marrying Hanora O’Connell (1850-?) on 9 October 1869, at Fermoy, Cork. They had two sons: Joseph William Tennant (1870-?) and Edward Vincent Tennant (1872-?) before the family came to Canada by 1876 and settled at Emerson. There, five more children were born: Henry James Tennant (1876-? ), Frederick Brandan Tennant (1879-? ), Katherine Nora Tennant (1881-? ), Abraham Joseph Lawrence Tennant (1884-? ), and George Norman Tennant (1886-?). In 1880 he was appointed Clerk of the Emerson County Court, serving also as a provincial immigration agent from June to November 1886. Elected to the provincial legislature in the 1883 general election, he was defeated in a re-election bid in 1886. 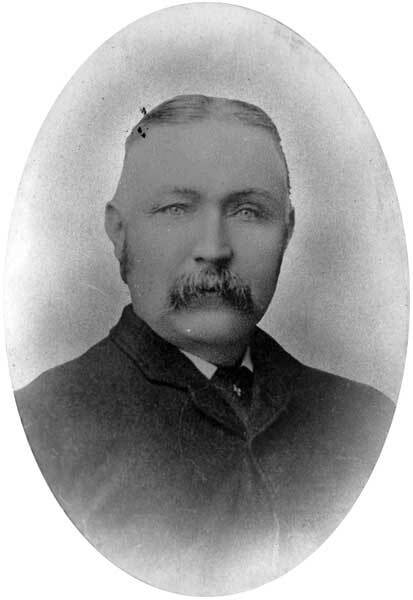 He was the Mayor of West Lynne in 1888. By 1893, he had moved to Coutts, Alberta where he was a customs agent. He died there on 8 November 1913. His body was returned to Winnipeg for burial in St. Mary’s Cemetery. “The Legislature,” Manitoba Free Press, 2 June 1887. “Collector of customs dead,” Manitoba Free Press, 10 November 1913, page 20.